and for those who always forgot their account or anything just open ur handbag or look out from your pocket and just flip to open and tap. This was one of the first and best PDA phones. I got a lot of mileage out of mine, but the keyboard died exactly after one year. I concur with those who complain about the battery. I also had a problem with voice on it, as it used to echo a lot. However, the fun that a Palm is has still not been matched. The fun's even more when you keep getting new applications installed on your PDA phone. Need assist all of you for access gmail by my treo 270, using eudora or PocketLink. To me the pda part as well as the phone part are both equally important. I thick the pda and phone does not work well together. My treo 270 hangs a few time a day and need to be reset each time. There were a few time when I was asked whether to erase all data. I have to choose yes, otherwise the screen shall blink between black and blue. Reset does not help. Luckily I have backed up although a week out dated most of the time. Synching with the PC was most of the time no problem. The battery life was really bad. Since day one, total talk time was 45 minutes max. 8 months later today, It is down to approx. 25 minutes. I have to charge it a few times a day. I manage to get a USB car charger. Local distributor technician in Malaysia said that treo 270 should be used as a pda and not so much as a phone ( which is why it is a pda-phone and not a phone-pda, he joked ). He suggested I get a back up phone of a different brand. I agreed totally. The technician also told me that treo 270 is well known for lousy battery life. I shall have to upgrade soon, most likely it is not going to be a Treo. Bad battery and very unstable. It could not be any worse than this. i read all the previous comments made with a great deal of interest – why?? because the palm treo 270 is probably the best thing that has happened in phones in the last 4 years!! why am i being so “superfluous? ?” i got this phone about 2 month ago and since then, my life has not remained the same – not only is it a fantastic phone, it’s an even greater personal digital assistant (pda). i have spent countless hours on the internet and managed to download a bunch of software onto my treo 270 – for instance, i have full copy of the kjv bible, matthew henry’s commentary, about ten books (management books, quotes, about 4 christian books) and eleven great games!! the issue with the treo270 is that its not for everybody – it’s a smartphone with emphasis on corporate users – hence no camera (am i a photographer?? ), no mp3 player … but you get a fantastic phone that synchronizes painlessly with your pc/laptop so that even if you lose your phone, you have everything backed up!! the downside tho, is the poor battery life – you need to charge/recharge every 18 hours – depending on use, though. by the way, if u are having challenges with “reading your sim card”, take time to secure the sim card holder properly…it’s a little loose and as such, the phone may not often make contact with the sim…its not much of a problem, really. 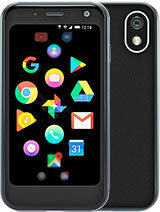 my final word – if u don’t need a smartphone with all these pc features, then by yourself a nokia3310 or something – if u are a busy executive like moi, then u cannot live without this smartphone and all its fantastic features – by the time u get the phone u will no longer require a laptop ever again!! i dont wana say mor ..
but ill never buy any of the PALM products tell the end of my life.. I'm sorry to say but my PalmOne aka Handspring Treo 270 has died on me. All my contact numbers are lost with it. I'm not bothering to fix it. The handphone stuck on a screen(crashed) and I couldn't off it. Even took out the sim card and put it back and nothing happened. I even had problems like Dr Saleh last time about getting simcard errors. Windows based PDA are more practical than Palm to me. However I'm using a P900 Sony Ericsson. Much better phone. i work in a mobile phone store. After reading all the bad comments about the Palms i have come to a conclusion. I think that all the people that wrote bad opinions dont now what their on about. Palm phones are very high in technology and are more indepth than any other phone. So get your facts write before you give other people your opinions!! pls i've treo 270. and i've found it difficult to activate the wap set up, cos my service provider supports the wap service, so pls i want u to help me send the full details of how i can activate the wap service. i'll be very happy if my request is been qranted. your sincere costomer Julius E. from nigeria. Thanks for your understanding . my treo 270 frequently shows the following messege (sim card error problem with sim card detected check your sim to see if it is damaged of missing ). My sim card works well in other mobile. Need your help.My dealer in Riyadh couldn't do much. i have this PDA phone.it doesn't have any camera.not sure if there is any accessory for it. i didn't buy it, dad got it from someone. since he has his own o2 XDA2, he gave it to me. i just use it. it is more towards a PDA since it has a big screen & stylus. It is okay not that fancy. Keyboard takes a little time to get use to when sms. Very hard to sms using 1 hand. i have to charge it almost everyday. battery quite weak. battery is built in so you can't have another for spare. I'm not sure about the price. please if you can inform me if thre is any camera will be fixed to treo 270 phone? Total of 41 user reviews and opinions for Palm Treo 270.